A prominent anti-aging researcher quit the scientific advisory board of a dietary-supplement maker after spending six months helping to promote a syrup that hints at extending life. Following questions by The Wall Street Journal about his seeming endorsement of the product, Dr. Sinclair resigned from the board last week and now says his name has been misused in connection with Vivix, which contains the antioxidant resveratrol. Shaklee, based in Pleasanton, Calif., disputes this and says he approved all uses of his name in its advertising material. In obtaining the backing of Dr. Sinclair this summer, Shaklee scored a coup. Dr. Sinclair knows resveratrol; in 2006, he led a study showing the molecule could counteract the ill effects of overfeeding laboratory mice. One notable benefit: resveratrol let overweight mice live about 114 weeks on average, compared with 102 weeks without the chemical. In August, Dr. Sinclair joined Shaklee's Scientific Advisory Board, a paid position, and enthusiastically introduced Vivix to the company's sales force in New Orleans. He joined Shaklee's chief doctor in a joint radio appearance, and his picture and name are often used on Vivix sales sites run by Shaklee's salespeople. Shaklee declined to say how much it paid Dr. Sinclair to be on the advisory board. 'To my dismay I have found numerous uses of my name and reputation on the Web and in other media that implies endorsement by me of Shaklee's Vivix product,' he wrote. It is not clear from this story whether [Associate] Professor Sinclair initially signed off on specific uses of his name and reputation to promote the Shaklee product. But it does seem clear that with his approval or not, his name, and his academic reputation, including his position at Harvard, were used to hawk a product for its supposed anti-aging effects. This continues the sorry story of medical academics' reputations being used to market health care products. So whether there were some promotions that used Sinclair's name or words without his authorization, in this obviously commercial, and Hollywood-style setting, Sinclair appeared not as a sober scientist, but as a rousing pitchman. Watch the video and it is hard to disbelieve that he willingly, enthusiastically was using his academic status and authority to promote Shaklee's commercial interests. Academics have long been trusted to seek and disseminate the truth in a spirit of free enquiry. Academics who use their reputations to sell products, and take advantage of their reputation thus to enrich themselves, violate this trust. When the academics who do so are medical academics (even if they are not physicians), they also violate the trust of patients. Those of us who care about the future of academic medicine need to see that medical faculty and academic medical institutions disentangle themselves from those who sell health care products or services. Yale University has agreed to pay $7.6 million to resolve allegations that it broke the law by mismanaging federally funded research grants, federal authorities announced Tuesday. The civil settlement with the government resolves allegations that some Yale researchers at times charged a federal grant account for costs unrelated to grant objectives. The government also alleged the researchers wrongfully charged 100 percent of their summer activity to grants when the researchers spent significant time on unrelated work. At issue were allegations that grant money was used to cover costs that did not relate to the objectives of the specific grant involved. Researchers allegedly were motivated to carry out wrongful transfers when the grant was near its expiration date and they needed to spend down the remaining grant funds, authorities said. Regulations require that unspent grant funds be returned to the government. The wrongful salary charges stemmed from the fact that researchers are not paid their academic-year salary by Yale during the summer, authorities said. The only salary received by the researchers during the summer came from what they charged to federal grants, prosecutors said. The thicket of subpoenas, audits and new compliance policies was a source of strain and sometimes a point of contention between faculty members and administrators, who sometimes tended to see the burden of improving grant accounting as resting on each other. “I recognize that this investigation has been stressful for many members of our faculty and staff, and I also recognize that federal regulations are sometimes burdensome,” University President Richard Levin said in a letter to faculty and staff Tuesday. In that light, the statement of the Yale spokesman is illuminating. According to him, no individual was responsible for the problem. The fault rested with the "grant accounting system and controls." That reminds me of the 1960s, when some hippies were heard to mutter, "it's the system, man, that's bad." Of course, the "system" did not grow like a tree, but was created by people. So if the system's users were not at fault, then its designers and maintainers were. However, it seems that when something goes wrong in a health care organization, it is never the administrators and executives who are at fault. Sometimes a low-level bureaucrat may be scapegoated. But the fearless leaders can do no wrong. They are never to blame. They are never punished. But when do university, hospital, or corporate executives ever pay a penalty for mistakes, or even malfeasance? As long as they have no incentive not to do wrong, they will continue to do so. The American Medical Informatics Association is moving towards having the field of Biomedical Informatics formally declared a medical subspecialty with the help of a $300,000 grant from the Robert Wood Johnson Foundation. While this is good, it is a long time in coming. I have been thinking a great deal about the recent Joint Commission Sentinel Events Alert on the potential dangers of poorly conceived and implemented healthcare IT. I wrote on this issue at the post "Joint Commission Sentinel Events Alert On Healthcare IT". Noteworthy is the fact that the research of current Biomedical Informatics specialists and allies figure heavily in the Alert’s references. I can only wonder what motivated the Joint Commission to issue such a potentially industry-adverse advisory (adverse to common and profitable health IT industry practices that create these issues, that is) at this time. President-elect Obama, after all, has made HIT a significant part of his agenda. Perhaps as cases of HIT difficulty and patient harm become more commonly known, the Commission does not wish to appear to have been caught unaware as have other regulatory agencies in the face of recent turmoil in the housing and financial sectors. I have heard rumors from my readers, in fact, of major stories about HIT malfunction that might in fact reach a wide public audience in the coming years. Considering the turmoil in the housing, economic and investment sectors, perhaps the Joint Commission does not want to be seen in the same light as a Fannie Mae or an SEC. Why was such an alert even necessary? None of the issues the alert raises, ranging from safety risks, unintended and preventable adverse events that these implementations can create or perpetuate via fundamental errors of either commission or omission, ill conceived human-machine interfaces and organization/system design, etc. would be very commonplace if the teachings of 40+ years of Biomedical Informatics research was heeded. Some of those researchers could probably have written the Joint Commission alert on HIT in the 1960's. In fact, they largely did. Biomedical informatics research goes back to the pioneers such as the writings in 1968-9 of Dr. Donald Lindberg, (now director of the U.S. National Library of Medicine at NIH and a key figure in funding for Bioemedical Informatics postdoctoral training), the "Ten Commandments" of Octo Barnett regarding HIT in 1970, the five major reasons for lack of HIS success by Morris Collen in 1972, the four reasons for lack of HIT diffusion by Friedman and Gustafson in 1977, and many others . Why has it taken forty years for this research to be reinvented and regurgitated by a major healthcare regulatory agency? How many billions of dollars have been wastefully spent, and how many patients have been adversely affected by bad informatics, in all those years? Biomedical informatics research currently includes the work of the formal departments and centers in the field such as these funded by the NIH in the U.S. and others funded by their own universities, departments of Biomedical Informatics in other countries, sociologists (e.g., Ross Koppel, Jos Aarts to name just a few), social informatics experts, the iSchool consortium, and many others working in a cross-disciplinary manner. In my own case, I have been writing on these issues since my eye-opening experiences as a Chief Medical Informatics Officer (CMIO) in the mid-1990's at Delaware's largest healthcare organization. I am astonished that the issues I wrote of then are current today; I often hear the exact same stories from current CMIO's over a decade later. I can say that none of the Joint Commission warnings were necessary on my watch as CMIO; I was cognizant of all these problems as a result of several years of studying the issues in the time I spent in the deep cave known as the Yale Cushing/Whitney Medical Library during my Biomedical Informatics fellowship and faculty time, as well as by direct observation using the simple skills of a medical internist but applied to IT. My writings have been widely viewed (see my 2006 AMIA poster "Access Patterns to a Website on HIT Failure", ppt file at this link). Yet, as a Google or other search engine search on "healthcare IT failure", "healthcare IT difficulty" or similar concepts demonstrates, explicit information on this topic remains curiously limited. On the contrary, a search on "medical malpractice" brings up literally millions of "hits." Why do the healthcare IT dangers that are the subject of the JC alert occur at all? A clue can be found in the following observations. Biomedical Informatics as a specialty might as well be invisible. Amateurs rule HIT. Here is my most recent and indeed most personal evidence Biomedical Informatics is still largely invisible. My former chair of medicine from my residency, a consummate clinician trained at Yale and now Chief of Staff of an 800+ bed hospital complex, opined regarding an opening for a Director of Clinical IT at his organization (in reference to my application, which was summarily ignored by the IT department other than the typical form letter reply) that "I do not believe it is a Sine qua non that a physician be at the helm of the clinical informatics enterprise". He knew of my career path since my residency in the mid 1980's. Now, this same person wrote a letter of recommendation in 1992 to Yale's Center for Medical Informatics about my qualifications for a Biomedical Informatics postdoctoral fellowship at his alma mater. The letter indeed mentioned the evening in 1986 when I went "way outside the box" as a resident at his hospital and used my IT expertise to repair a CT scanner's computer that was malfunctioning and that had been abandoned for the evening by the vendor. My repair brought the CT scanner online, and changed the intervention on a mid 20's unknown male brought to the ED with profound mental status changes from a potentially catastrophic lumbar puncture to the appropriate neurosurgical intervention - to manage a huge hydocephalus caused by a benign obstruction within his brain. The patient survived. healthcare industry sees the field of Biomedical Informatics? Other occupations (I've personally seen IT personnel, MBA's, business consultants, "process re-engineers", 'techie' docs and nurses with just enough IT knowledge to be dangerous, social workers, and a cadre of others) are thus free to commit what I term "cross-occupational piracy" upon HIT. They do not do a stellar job of it. Thus, the Joint Commission alert becomes necessary. A colleague and I got to talking yesterday about something that I'm sure many chemists have noticed. Have you ever chased down some reaction or compound in the literature, only to find yourself wild-goosing back to some obscure journal that no one has ever read - just because no one can be bothered to publish a modern procedure? Here's how that typically works. You run a SciFinder search on Molecular Structure X. A list with a dozen references comes up. There's a Tet. Lett. from 2002, but what are the chances it'll have any spectral data (or anything useful at all?) Ah, there's one from Tetrahedron in 1995, that should do. So you look over the PDF, search for your compound. . .there it is, number 17. Now to the experimental. . .and you find in the first paragraph that "Compound 17 was prepared according to a published procedure", footnote thirty-eight. And the footnote is to. . .ay, it's to a Chem. Ber. paper from 1932. Ausgezeichnet! Oh-kay. Back to that SciFinder reference list. How about that Tet. Lett. paper? Nope, on inspection, it turns out to reference the 1995 paper you just looked at. What else? There's a JOC from 1984, let's try that. Good ol' JOC, solid stuff. Well, digging up that PDF, you find that it refers to a 1980 paper from the same group from Synthesis. Hrm. So you chase that one down, there it is, compound 9, and the experimental for it is. . . footnoted to the 1932 paper. Again. What he is referring to is the "wild goose chase" that often plagues medicinal and other chemists in performing syntheses, essential to the drug discovery process. He is pointing out the use of the cheminformatics resource known as "SciFinder" by the American Chemical Society. An ACS division provides the largest databases of publicly disclosed chemistry-related information and makes the information accessible through search and retrieval software such as SciFinder, along with links to the original literature and patents. SciFinder is an essential tool to the modern research chemist. Some pharmas (e.g., Pfizer) made this tool widely available to its scientists. Which makes my experience in Big Pharma astonishing, in that I as a science library director in a company with a declining pipeline of new drugs had to fight a long battle with a non medical, non science-background IT VP over ending rationing of said tool, among others, to save a few million $ per annum. I was dumbfounded. This in a drug giant boasting $60 billion in market clout and 60,000 employees. In the end, my department received only a fraction of what I asked for, and that was soon taken away (not from me personally, but from the scientists, ultimately) as budgets declined. My appeals to senior management as a Biomedical Informatics professional, a.k.a. information scientist, might as well have been invisible as well. I was ultimately laid off by the VP for my efforts, leaving laggards who had tolerated this mind-boggling, truly absurd situation that impaired drug discovery behind. 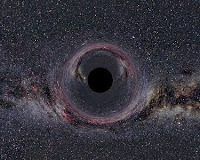 Black hole OJ287, mass of 18 billion Suns. Unfortunately, I doubt FDA will issue a similar alert about the dangers of research IT leadership by non scientists. In effect, the Joint Commission Sentinel Alert affords an opportunity for a return to some sanity in healthcare IT endeavors. It is my view that the Biomedical Informatics community and its allies need to leverage this perhaps first-ever acknowledgment from an organization with clout that HIT is not a harmless panacea and needs to be subject to informed discipline and rigor (as medicine itself). They need to leverage it to end the "black hole of invisibility", irrespective of the bureaucratic and prolonged process of having the field declared a medical subspecialty, the outcome of which is uncertain. The alert needs to be leveraged each and every time a Biomedical Informatics professional finds themselves being marginalized. It needs to be leveraged as a hammer. "Political correctness" (aptly abbreviated "PC", pun intended) on these matters ultimately gets patients killed. You know you're afflicted with the terminal PC bug when you feel reluctance to tell your CIO and IT personnel who lack training, knowledge and experience in clinical medicine, and who've just concluded contracts for the world's worst clinical IT without sufficient end user involvement, that they, in fact ... lack training, knowledge and experience in clinical medicine. ... the reply should itself be a well-justified bit of bellicosity. "What part of 40+ years of Biomedical Informatics research and experience don't you understand?" A History of Medical Informatics in the United States 1950-1990 (pp. 167-175), Morris F. Collen B.E.E., M.D., 1995, American Medical Informatics Association, ISBN 0-9647743-0-5. I'm working the early shift here in the ER today, and because of the historically bad weather here, I left really early for work. The commute was scary, but the streets were empty of traffic, and I arrived at 5:30 AM for my six o'clock shift. As I exited the parking garage, I noticed a man in work clothes shoveling off the walkway to the hospital. I was fiddling with my cell phone (actually texting the wife to let her know I made it OK) so I didn't pay him any mind. I was surprised when he greeted me by name, and more surprised when I looked at him more closely and realized it was the CEO of the hospital. I was stunned. I made a little joke about how he's been reduced to pushing a shovel, and he replied with good cheer, 'Well, somebody's got to do it, and half the staff wasn't able to make it in, what with the roads and all. The last thing I want is for an employee or patient to slip on their way in -- that's be all we need!' We chatted for a minute and parted ways. As I was finishing my text, I noticed him stop to greet a couple of nurses on their way in, and thank them for coming in to work today. It just shows to go you that there are leaders like that out there. They exist. And I bet this one doesn't even make $1 million a year. 'It wasn't fair. But what could I do? I said, 'Lord, it's in your hands,'' said White, 66, who remains too weak to work. Johns Hopkins officials acknowledged in interviews that they generate surpluses from the system. Hopkins, Bayview and the University of Maryland Medical Center showed combined surpluses of at least $130 million in the past five years in the final numbers provided by the commission. The second article in the series documented instances of other highly aggressive and legally dubious collection practices. Some hospitals have won judgments against patients covered by Medicaid for bills the giant government health plans didn't pay, despite a Maryland law outlawing that, The Sun found in sampling more than 200 court files. Hundreds of patients have filed complaints with state regulators over billing issues, including allegations that hospitals tried to collect amounts beyond what they agreed to accept under insurance company contracts by going directly after patients. And some hospitals have sued patients three or more years after their stays ended, raising questions about whether the statute of limitations had expired, The Sun found. Hospitals routinely seek to add interest at the legal maximum of 12 percent a year on judgments, starting 60 days after the patient was discharged. That is legal under a Maryland law that applies to hospitals. But the practice is criticized as unnecessarily aggressive even by some other debt collection lawyers. The Maryland Constitution sets interest rates at 6 percent for most debts, but hospital debts are exempt. In one case, a hospital sought to collect from a patient after her insurer supposedly refused coverage, but apparently she would have been covered if the hospital had filed the correct paperwork on time. Tamara Byrd was driving home from her job at the city Department of Social Services on Sept. 9, 2003, when a teenage driver collided with her car, sending Byrd's car smashing into a house. She spent seven days in the trauma center at Sinai Hospital in Baltimore with rib fractures and internal bleeding. 'When I first came home, my parents literally had to tuck me into bed every night. My mother had to bathe me. She had to help me get dressed,' said Byrd, 40, who lives in Randallstown. Byrd thought her bill was covered by her HMO. But more than two years later Sinai, through Thaler, sued her for $21,595. Byrd's case was on the docket on July 16, 2006. Thaler met her prior to the hearing to discuss a possible settlement. She recalls encountering a traffic jam of sorts as lawyers for hospitals sought to find the people they were suing to set up conferences. 'It was like a total business,' said Byrd. Byrd agreed to pay $100 a month after talking to Thaler. She complained to the judge that she didn't think it was fair to be stuck with the bill when she had insurance, but thought she had little choice but to settle. Judge Dorothy J. Wilson marked Byrd's case settled, remarking: 'Well, good luck to you, ma'am,' according to a transcript. Two months later, Byrd found out that she never legally owed the bill to begin with. A friend advised Byrd to file a complaint with the Maryland Insurance Administration, which ruled in September 2006 that Byrd was not liable for the charges. I can't comment on the legal issues raised in these articles. But the hospitals' alleged conduct contrasts with the idealistic way they present themselves. Mr. Hopkins wanted a hospital with the finest physicians and staff; a hospital which was a charity for the poor of Baltimore without regard to race, color or creed; a hospital which had amenities for those able to pay, so that charity to the poor could be sustained. He wanted a hospital to be a part of or a partner with the University medical school and faculty, with a training school for nurses. He envisioned a place of compassion and caring, high skill, research and education. The attempts to collect from Ms White above do not seem to be a way to sustain charity to the poor. Not much charity infused the characterization of "deadbeats" by Hopkins CEO Peterson. Sinai may have taken care of Ms Byrd's immediate problem, but its collection attempt did not seem to indicate that it cared for Ms Byrd. Many prominent hospitals publicly proclaim their high-minded goals, but their management often seems hostile to their missions. The scene was a society party at Donald Trump's famed Mar-a-Lago Club in Palm Beach, Fla. One guest was Robert Jaffe, 64, who had recruited investors for Bernard L. Madoff, the money manager who last week admitted to a Ponzi scheme in which he lost $50 billion of his clients' money. Another was 78-year-old Jerome Fisher, founder of the upscale shoe store chain 9 West, who reportedly lost millions with Madoff and was upset by Jaffe's presence at the club Saturday night. According to Trump, the two almost came to blows. 'It was as if these people were born to be prizefighters,' Trump said in an interview yesterday. Even in the rarefied world of high society in Palm Beach, Robert M. Jaffe cut quite the figure. With his impeccably coiffed hair, a golf game to envy, and a $17 million waterfront mansion, he was a man to be seen. He was also the man to see, if you wanted in on a sure thing - Bernard L. Madoff's investment fund. Jaffe moved among the rich and richer in Palm Beach and Boston, finding suitable clients, among the many who clamored to get a piece of Madoff's irresistible, too-good-to-be-true investment returns. As vice president of Cohmad Securities Corp., a company set up primarily to bring in clients for Madoff, Jaffe offered coveted access to the legendary New York firm. Jaffe used to keep a small office on Commonwealth Avenue in Boston, but the MBA dropout functioned more as a symbol of the extraordinary wealth and status Madoff clients could achieve. Jaffe, who drove a green 1954 MG TF British convertible, seemed to find more success doing business on the golf course than in the boardroom. Jaffe ... focused on recruiting clients with a high net worth. Investors and potential investors say that Madoff at times made it difficult to get in, often requiring connections and an investment of more than $1 million. Jaffe provided those connections. Although his primary residence is in Palm Beach, he also has a home in Weston and is a member of the Pine Brook Country Club. A large number of the 360 members of the Weston club had investments with Madoff, according to members and employees. Jaffe played as recently as this fall on Weston's rolling fairways, where he was known as generous tipper. Jaffe, who also runs M/A/S Capital Corp., a family-operated investment firm in Palm Beach, told the Palm Beach Daily News in an interview last week that he would refer potential investors to Madoff. If they became clients, Jaffe would be paid 1to 2 percent of the value of the first successful trade. But that admission has taken some people in Palm Beach by surprise. People thought the breezy socialite was helping out friends by putting them in touch with Madoff. Nonetheless, despite the scores of Palm Beach residents and Bostonians who have lost money with Madoff, Jaffe is still scheduled to preside over the Discovery Ball, a gathering of socialites and philanthropists Feb. 21 at the Breakers hotel in Palm Beach. In 2006, the last time Jaffe and his wife, Ellen, cochaired the fund-raiser for Boston's Dana-Farber Cancer Institute, they helped raise $2.25 million. The situation highlights how the Madoff scandal has upended a crucial part of fund-raising for many of Boston's world-renowned hospitals. For years, the hospitals have gone to Palm Beach seeking donations from rich donors, many of them snowbirds or transplants from the Boston area. They hold lavish events at hotels and private parties at homes in an effort to attract donations. Now, with many donors out millions, that strategy is being reevaluated. Beth Israel Deaconess Medical Center, for instance, is reconsidering a March event in Palm Beach aimed at impressing donors with the hospital's latest medical advances. 'Because of the economy, we had already planned to scale back the extent of it,' said Paul Levy, Beth Israel's chief executive. 'We are considering what further steps we might take in light of the Madoff news because it affects too many people in Palm Beach. We don't need as large a place and we might want a place that's a little more modest.' At its 2007 gala, Beth Israel touted $15 million in gifts, though not all of the money was raised at the event. Other hospitals had already begun to rethink their fund-raising approaches before the Madoff scandal broke. Tufts Medical Center, which has held a Palm Beach event for the past two years in conjunction with Tufts University School of Medicine, will not hold one this winter. Children's Hospital Boston also scaled back a Palm Beach event prior to the scandal. 'We had decided before the economy was a problem not to hold an event but to instead engage in personal visits' with potential donors, said Janet Cady, president of the hospital's fund-raising trust. In the late 1980s, many of Massachusetts General Hospital's key donors who once lived in Boston and throughout New England asked the institution to hold events in and around Palm Beach, according to James E. Thompson, vice president for development at Mass. General. The hospital holds an annual event, called an educational session, in which doctors speak about research at the hospital, followed by a reception. This year's session, scheduled for Feb. 3 at the Four Seasons Resort in Palm Beach, will go on as planned, said Thompson. Brigham and Women's Hospital is planning a series of events over three days starting Jan. 22, highlighted by a dinner at The Breakers. 'We're not changing our plans at this point,' said Jim Asp, vice president for development. But Dana-Farber has by far the biggest Palm Beach presence, with a full-time office and a schedule of events spread over five weeks, including a kick-off party, a preball dinner, 'breakfast with the doctors,' a dinner for 'major donors,' and the ball itself. One starts to get a sense of how much academic medical centers have been caught up in the world of the rich and famous. One wonders what they gave up in order to cultivate the rich and famous. We have noted before how some teaching hospitals seem more focused on their profit margins and their CEOs' salaries, and on lavish buildings and high-tech equipment, then on general medical care, and sometimes on teaching at all. One wonders if hospital leaders have gotten distracted from their missions as they got caught up in the world of the rich and the famous. Madoff’s alleged Ponzi scheme had such a devastating impact, they say, because so many organizations rely on informal networks of rich contributors who move in insular circles and operate on the basis of personal connections, not transparent fiscal procedures — the very qualities Madoff allegedly exploited to ensnare otherwise-savvy investors. In recent years the donor bases of most major Jewish groups have shrunk as the focus shifts to small groups of big givers — a mode of fundraising that was seen, until now, at least — as more efficient and reliable than big networks of small givers. All that may change as organizations assess the damage and struggle to recover. The allegations in the pay-to-play scandal involving Illinois Gov. Rod R. Blagojevich and the admission by former NASDAQ chairman Bernard Madoff that his exclusive investment enterprise has (for more than 20 years) been nothing more than an elaborate ponzi scheme are perfect bookends to a familiar American narrative. What both stories reveal, each in its own way, is how much American political and financial elites depend upon a series of elaborate rituals for the exchange of various forms of privileged access. But whether illegal or not, such alleged behavior is part and parcel of a familiar political culture, and of a more general culture, in which some people routinely pay for or otherwise bargain for access, while others lacking the means — or awareness of the option — to pay, remain on the sidelines. One problem with a culture of access for sale is that it offers no clear point at which we can agree when a line is crossed. But at some point the line is crossed, even if the boundary between what is conventionally accepted and what is not, is inherently fuzzy. What the Madoff scandal makes clear is that the practice of buying privileged access is by no means confined to the political realm. A culture of privileged access to economic opportunity or political power or both will always redistribute risk and reward in ways neither fair nor transparent. At the crudest level, Wall Street’s ill-gotten gains corrupted and continue to corrupt politics, in a nicely bipartisan way. Think of the way almost everyone important missed the warning signs of an impending crisis. How was that possible? How, for example, could Alan Greenspan have declared, just a few years ago, that 'the financial system as a whole has become more resilient' — thanks to derivatives, no less? The answer, I believe, is that there’s an innate tendency on the part of even the elite to idolize men who are making a lot of money, and assume that they know what they’re doing. Those are hard acts to follow, but to conclude in the health care context, we need to remember our core values, remember the calling of medicine comes before the siren songs of money and power, and stop idolizing "men who are making a lot of money," much less assume they know what they are doing. We first discussed some health care aspects of the case of Bernard Madoff here. Since then, the case has generated tremendous media attention, and been dubbed the greatest financial scandal of the 21st century. With continuing reporting and investigation, the case has opened important windows into the mismanagement and misgovernance of many kinds of organizations, including health care organizations. President Richard M. Joel acknowledged they invested approximately $110 million in Ascot Partners, a $1.8 billion hedge fund managed by J. Ezra Merkin, although they asserted that the exact figure was difficult to ascertain. Mr. Merkin, who recently resigned from his positions as a trustee on YU's board and chairman of YU's Investment Committee, sent a letter to investors Thursday, December 11th, stating he had invested 'substantially all' of the fund's capital with Bernard Madoff; the fund is now virtually worthless. Before President Joel's letter clarifying that the loss was $110 million, sources had located the losses between $100 and $140 million, while some unsubstantiated rumors around campus had ranged far higher. The endowment once stood at $1.8 billion, according to pronouncements by President Joel; at January 1st, it held $1.7 billion, according to his email. Today, President Joel estimated the endowments' value at approximately $1.2 billion, and revealed a loss of 28% since earlier this year, compared to an S&P loss of 38% and Dow Jones loss of 32%. Merkin's tactic ... [was] directing substantial amounts of YU's endowment to a fund that he himself managed. Figures ranged for how much money was invested with Merkin, but it appears the best estimate is that roughly $200 million was invested in Merkin-managed funds. One source close to trustees alleged that Merkin took a full management fee and did not give YU any discount for the size of their investment, which is out of character for most investors in the hundreds of millions of dollars according to financial professionals. By the way, although Merkin charged the university a management fee, all he apparently did to manage the money was to in turn give it to Madoff, as noted above. One hedge fund manager familiar with the situation expressed outrage with Mr. Merkin's behavior. 'He didn't seem to diversify at all, and he obviously didn't do enough vetting of Madoff,' he said. 'If this fund was just a pass-through so less connected investors could get to Madoff, YU could have gone to Madoff directly - he was the treasurer of their board,' he emphasized. "For what exactly was Merkin earning his fee from YU here? And for what was YU paying him?" a leadership style described by several as secretive and overbearing. A friend and supporter of Merkin acknowledged that "he has a hard edge to him." YU board members who expressed such concerns were reportedly ignored or berated by Merkin. They often found it difficult to get information from him. 'He can be intimidating, and didn't feel the need to tell everyone what was going on,' one source related. 'He's a screamer.' Another source close to the situation revealed that administration officials found Merkin difficult to work with, and searched for tactics to deal with Merkin for months before Thursday's events. Further, sources alleged that Merkin did not disclose to the board that the Ascot Fund was nearly exclusively invested with Madoff, which would fit with the description of several other investors. Madoff also managed money for private foundations affiliated with at least seven trustees at Yeshiva University, according to the most recent federal tax filings available. That includes three who reported having direct accounts with Madoff’s firm and four others who had invested in Merkin’s Ascot Partners. Financier David Gottesman, who once served as chairman of Yeshiva’s board, reported in a tax filing for the fiscal year ended Aug. 31, 2007, that the Washington-based Gottesman Fund earned $2.1 million trading large-cap stocks through a $20.4 million securities account at Madoff’s company. Madoff also helped the Gottesman Fund earn $35,294 that year by trading options. Gottesman didn’t return telephone calls to his home and office seeking comment. Warren Eisenberg, the co-chairman of Bed, Bath & Beyond Inc. in Union, New Jersey, reported that his private foundation generated $106,193 in trading profits through a $5.1 million account with Madoff in the fiscal year ended June 30, 2007. The New York-based Jesselson Foundation, run by Yeshiva trustee Michael Jesselson, earned about $1.5 million in profits through $234 million of trading in a Madoff account during the fiscal year ended April 30, 2007, according to its most recently available tax filing. The Sapirstein-Stone-Weiss Foundation, run by the family of Morry Weiss, a Yeshiva trustee who is also chairman of Cleveland- based American Greetings Corp., listed a $2.4 million investment with Ascot and a $1.7 million stake in the 'Bernie Madoff Fund' in its tax return for the year ended May 31, 2007. Other Yeshiva trustees who reported that their foundations had invested in Ascot included Emanuel Gruss, Ludwig Bravmann and Robert Beren. Weiss, Jesselson, Bravmann and Eisenberg didn’t return telephone calls seeking comment. Gruss, who said he is 87, declined to comment. The duties of the board of trustees of a not-for-profit organization are to provide stewardship that maximizes the ability of the organization to carry out its mission. The mission of a university is to discover and disseminate the truth. The mission of a medical school is to do so in a medical context, while providing the best possible care to individual patients. At this university, unfortunately, cronyism and self-dealing on the board got in the way of good stewardship. The board had no rules prohibiting and minimal concerns about conflicts of interest affecting its members. The board gave excess power to one of its members, a "screamer" distinguished by his ability to intimidate. This member used his power to manage the university's investments so as to minimize his own effort, while maximizing his personal profit. Board members who were worried about this state of affairs were too intimidated by him or his cronies on the board to restrain him. The immediate result was financial loss and disorganization. One wonders how governance like this affected the long-term leadership of the university. Perhaps more will come out about that in the future. Some might be tempted to dismiss the case of the Yeshiva University's board as unique. Because of the intense scrutiny of the Madoff case, we have gotten unique insights into the governance and leadership of this one university. Given all that we have discussed about academic leadership and governance on this blog, it is likely that many other universities have similar problems affecting the membership and operation of their boards of trustees. Expect that the continuing global financial meltdown will expose some more of them. But before they are exposed, it's time for all who care about academic medicine, and about academia at large, to look for ways to refocus academic leadership on their mission. Universities that focus on finding and disseminating the truth may lack for glitz and glamor. But in the long run, they will prosper, while those which concentrated on building fancy buildings, making daring investments, or increasing leaders' salaries will end up in history's dust-bin. This is a longish post that tries to tie together a number of issues regarding overconfidence in computing and healthcare IT's ills. Bear with me. A 21st century plague might be called the "Syndrome of Inappropriate Over-Confidence in Computing" (SICC syndrome for short). It's bad enough that we are placing major decisions about industrial policy at the tender mercies of computer models. For example, whether global warming is real or not, dependence on computer models made by scientists who cannot reliably predict the weather, or exactly where an active hurricane under comprehensive observation from sky and satellite may strike, seems presumptuous at best. It reflects a syndrome of inappropriate overconfidence in computing, a belief in "cybernetic magic" if you will. The same overconfidence, indeed, to the point of irrational exuberance, affects other domains. One domain is healthcare IT. As I shall point out, the SICC syndrome has helped cause major problems in other domains as well. Yet the appetite for yet more computer magic appears to be spreading. Sunspot (Wikipedia): A minimum in the eleven-year sunspot cycle happened during 2008. While the reverse polarity sunspot observed on 4 January 2008 may represent the start of Cycle 24, no additional sunspots have yet been seen in this cycle. The definition of a new sunspot cycle is when the average number of sunspots of the new cycle's magnetic polarity outnumbers that of the old cycle's polarity. Forecasts in 2006 predicted Cycle 24 to start between late 2007 and early 2008, but new estimates suggest a delay until 2009. K7RA solar update: Last week's sunspot group was only visible for three days, December 10-12. The average daily sunspot number for all of 2007 was 12.8; if we see no sunspots for the rest of 2008, the average for this year will be 4.7. By comparison, the yearly averages of daily sunspot numbers during the last solar minimum (1995-1997) were 28.7, 13.2 and 30.7. This solar minimum is much lower than the one about 12 years ago. Emissions caused by sunspots profoundly affect earth's ionosphere layer and thus short wave radio propagation. 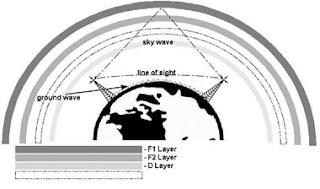 Those wavelengths refract or "bounce" in the ionosphere and can thus travel beyond earth's curvature. The little mystery of the current solar clear complexion is in fact unexplainable by any science we know. Heaven knows what others effects are occurring as a result of solar mysteries such as this. The page on Sol linked above contains interesting theories on solar variations, but robust, reliable, predictive computer models for either man-made or solar-related climate change? Ha. Regarding the SICC syndrome and healthcare IT, physicians and other clinicians at some point must realize their profession is being encroached on by one of the most arrogant occupations known to mankind, the business IT specialty (a.k.a. management information systems or MIS). A belief that mastery of IT in business, whose own track record of failure, waste and excess is far from stellar, gives one the expertise and authority to declare one's self an expert in issues deeply affecting healthcare is about as arrogant as it gets. Worse, the arrogance is coupled with ignorance about decades of research in social informatics (the study of the social impacts of computing), observational studies, biomedical informatics and computer science research, etc. (A worst case scenario has occurred to me that people who gravitate towards business IT may lack the interpersonal skills and insights into human behaviors necessary to understand the aforementioned domains and their real world importance.) In any case, this encroachment on medicine by the business IT industry is an unwarranted, unparalleled power, territory and profiteering intrusion, a form of cross-occupational piracy. Further, the gargantuan leap of faith -- with an almost religious fervor -- from health IT as a facilitating tool for clinicians to a tool that will "revolutionize healthcare" in the face of massive, recurrent, serious practical problems is another example of SICC. The recent Joint Commission sentinel alert on Healthcare IT (PDF) is the first formal, widespread acknowledgment of this issue by a healthcare regulatory agency with real clout anywhere in the world, as far as I know. Those who have written on this issue of HIT risk when improperly designed and implemented have taken reputational hits as alarmists. I've been writing on these same points for at least the past decade, in fact, as have others who share my concerns. I wonder how many of those who critiqued the "alarmists" would after the JC Sentinel Alert now admit their brains were running on 3 cylinders, 80 octane and wishful thinking, while ours on 8 supercharged cylinders, 96 unleaded and reality based observation. It is perhaps symptomatic of SICC that the recent Boeing 737 accident in Denver, even without loss of life, will be investigated far more thoroughly than all HIT failures combined. I, for one, would welcome a cessation of claims that IT will "revolutionize" any field that depends primarily on cognition, such as biomedicine, and a return to more temperate attitudes instead of the almost bellicose grandiosity about HIT we see today. That is to say, that HIT - with proper contributions from the aforementioned specialties - will facilitate better health care, not "revolutionize" it. I also wonder how many of those who critiqued these HIT concerns had a lot of money invested in the stock market's "sure bets" in recent years. [Former mayor of Fort Lee, N.J., Burt Ross,who once worked as a Wall St. stockbroker himself] says he remembers being puzzled about how Mr. Madoff was able to show positive returns, even in months when the stocks Mr. Madoff's fund owned were down. He pushed such thoughts aside. "I thought, 'Who am I to question?'" Mr. Ross says. "This guy has a formula involving computerized trading....It's like Coke. We're not supposed to know the formula." Mystery formula for computer trading, was it! SICC syndrome incarnate. I wonder just how many people lost their life's savings on similar delusions. I believe [the FDA's failures in building IT systems to track drug adverse events] represent more than a "broken down process at the agency." It's a "broken-down process" in the world of IT, i.e., the belief that IT is a homogeneous industry where expertise in business computing equips one to do all computing. I would be curious to know the backgrounds of those IT personnel who were involved in the leadership, planning and development of AERS II. I would bet most had a technical focus, and I would also bet none had expertise in medical informatics. Perhaps one day the drug industry, including the FDA, will accept the IOM's recommendations on medical informatics. Those recommendations involved acquiring and empowering specialized people, not a resort to purported cybernetic miracles. What does the FDA choose to do instead? The U.S. Food and Drug Administration plans to use new computer technology to simulate how some drugs in development are supposed to work, helping researchers and regulators spot safety and effectiveness issues before late-stage tests on humans are completed. Entelos Inc., a Foster City, Calif., company that has developed the technology, said it will enable researchers to obtain computer-generated test results in a matter of days or weeks, compared with years required for most major clinical trials. Far more "simulated patients" also can be tested than in conventional human trials. Under an agreement with the FDA that Entelos announced Tuesday, three drugs now being studied for heart-related conditions in large human trials will be tested by the simulation technology. Neither Entelos nor the FDA would disclose which drugs will be involved or which companies are developing them. The value of the contract also isn't being disclosed. ... "What this study is about is trying to anticipate bad scenarios before they occur," said Robert Powell, associate director in the office of translational sciences in the FDA's Center for Drug Evaluation and Research. Bad enough that insufficiently powered studies and even seemingly robust studies in domains with small effect sizes, financial interests and prejudices, and other factors may be misleading (see "Why Most Published Research Findings Are False", John P. A. Ioannidis, PLoS medicine, 2005 August; 2(8): e124). Now computer models and in silico simulations that purport to model actual, immensely complex and poorly understood biologic and environmental factors sufficiently well to enable real world predictions will be used to influence clinical decisions. The same clinical decisions that might best made empirically in real biological systems - e.g., via in vitro and in vivo methods. That is a fantastic leap of faith. To the moon in a hot air balloon? Mr. Powell [Robert Powell, associate director in the office of translational sciences in the FDA's Center for Drug Evaluation and Research] said regulators "wouldn't make a decision to kill a drug based on a simulation," but the findings could be used in discussions with drug companies to influence decisions such as the design of clinical trials. Eventually such information also could affect prescribing information included in drug labels. Knowing the narrow minded, profit-motivated, often conflicted boneheads who have invested our futures in the likes of Mr. Madoff's Ponzi scheme, Fannie Mae and the like, hedge funds, profoundly arcane bundles of financial toilet paper known as "securities" based on the former sources, etc., I have very little confidence that regulators (and worse, non-scientist managers overseeing biomedical research budgets and portfolios such as here) will not use these "cybernetic miracles" in making decisions -- both pro and con -- on new drug entities and other matters. I propose a new term, The "cyber-industrial complex" to describe these spreading SICC scenarios. Snake oil salesmen of the 19th century had little on today's Cyber-Übermenschen. Swedish anti-corruption agents are investigating allegations that pharmaceutical giant AstraZeneca influenced the awarding of this year's Nobel Prize in medicine. 'I have formally instigated, or started, a criminal investigation,' Swedish anti-corruption prosecutor Nils-Erik Schulz told the Star in a telephone interview from Stockholm yesterday. Schulz's investigation was sparked by claims in the European press that AstraZeneca's sponsorship of two Nobel promotional companies – Nobel Media and Nobel Web – influenced the choice for this year's prize in medicine. As well, two Swedish academics on the committee have close ties to AstraZeneca – one sits on the company's board of directors, while the other was a former consultant to the pharmaceutical company. Part of the Nobel Prize in Physiology or Medicine was awarded this fall to Harald zur Hausen, a German scientist who discovered the links between human papilloma viruses and cervical cancer. The discovery could be a financial bonanza for AstraZeneca, which holds the patents on ingredients in the vaccines used to fight the viruses. AstraZeneca stands to make millions from Gardasil, made by Merck, as well as GlaxoSmithKline's Cervarix, thanks to patents it holds. 'Because the Nobel Committee of Karolinska Institute, and not the Nobel companies, elects candidates for the prize, AstraZeneca will not be able to influence who will be awarded the Nobel Prize, nor do we ever seek to,' Laura Woodin, manager of media relations for AstraZeneca in the U.S., said in a statement to the Star. Nobel Foundation director Michael Sohlman was equally adamant about the strict separation between fundraising and the selection of Nobel laureates. 'The foundation has 100 per cent confidence in the integrity of the Nobel Assembly at the Karolinska Institute, as we have in the other prize-awarding institutes,' Sohlman said in a telephone interview from Stockholm yesterday. In my humble opinion, both these denials begged the question. At the least, it appears that at least one member of the committee that awards the prize in medicine is on the board of directors of AstraZeneca, a pharmaceutical company. Specifically, "Nobel Assembly member Bo Angelin sits on the company's board of directors, which pays $50,000 (Cdn) a year." As we have discussed in the past, beyond being remunerative, sitting on the board of directors of a for-profit company implies a duty to the stock-holders to maximize the profits of the company. Such a duty could create a conflict for someone who also votes on the awarding of a lucrative and extremely prestigious prize for medical scientific discoveries that could relate to the marketing of such a company's products. The presence of Dr Angelin on the committee which chose the Nobel Prize winners suggests at least the possibility that commercial concerns could affect the selection process. Furthermore, his presence suggests that there is no prohibition of directors of for-profit health care corporations from sitting on this committee. There may have been other committee members with other conflicts that further suggests commercial influence on the awarding of this most prestigious prize. Is nothing sacred? It appears that the web of conflicts of interest in medicine and health care has spread to even the most renowned of its institutions. And now we must wonder whether even the Nobel Prize has been turned into a marketing opportunity. See also comments by David Williams on the Health Business Blog, and the anonymous blogger on PharmaGossip. The St Petersberg Times last week published an investigative series on the out-sourcing of clinical trials to India, which raised important questions about the quality of data they produce. Mary K. Pendergast, a former FDA deputy commissioner, said identifying a dangerous product is difficult enough. It's considerably trickier to find fraudulent clinical trial data, which could lead to the approval of dangerous drugs years later. Particularly when that country has a reputation for cutting corners. The article quoted a number of people familiar with the clinical trials scene in India who suggested that corners indeed were being cut. In the burgeoning clinical trial business, says Amar Jesani, a doctor and medical ethicist in Mumbai, every layer of oversight is compromised by cash, and independent monitoring is nonexistent. He has resigned from supposedly independent ethics committees that rubber-stamp drug companies' proposals and overrule any objections. Dr. Arun Bhatt is president of Clininvent, a contract research organization in Mumbai that is running 11 trials involving 1,000 patients. He worries that Indian doctors ignore patients' reactions to experimental medicines, missing critical clues about a drug's safety. Dr. Nandini Kumar retired in June as deputy director general of the Indian Council of Medical Research, the equivalent of the U.S. National Institutes of Health. She now works as a consultant for the agency in New Delhi, teaching doctors how to run ethical trials. Kumar is stunned by their ignorance of internationally recognized standards for conducting drug studies. Dr. S.P. Kalantri has conducted trials for global pharma at the government hospital in Sevagram, a small town in central India. But he said he has pulled back from doing the studies. Dr. C.M. Gulhati, editor of an Indian medical journal, Monthly Index of Medical Specialties, said authorities cannot cope with the tsunami of trials. In 2003 in Hyderabad, an unregistered study of a heart attack drug that resulted in six deaths. In 2004 in Delhi, a first-in-human trial of a new suturing device on 13 patients without regulators' approval. Last year, India's decision to become the only nation to allow domestic drug maker Sun Pharmaceutical Industries to market the anticancer drug Letrozole for infertility in women despite the drug's originator, Novartis, warning that it may cause fetal harm and should be used only in postmenopausal women. And in October in Bangalore, the death of a baby during the testing of a new Wyeth vaccine. But doing trials in India, and other less-developed countries is far cheaper and faster than doing them in developed countries. Contract research organizations (CROs) have figured this out. Contract research organizations keep tabs on trials with regular audits. Site management organizations put an extra set of eyes in the doctor's office. Both entities dangle promises of FDA-ready studies in half the time, at 30 to 60 percent the cost in the United States. The secret? Cheap help and fast patient recruiting. Accelerated Start-up and Recruitment worldwide, through a global network of investigators that includes many in nontraditional regions with large clusters of patients and few competing trials. We have noted before that the limited oversight of CROs, which are responsible for an increasing proportion of industry-funded trials of drugs and devices, makes possible poor quality work, hence unreliable data (see most recent post here and links backward). The threat to data integrity from too hasty, too profit driven clinical research done by CROs is the third of the three major threats to the integrity of the clinical research data base. The other two, which are discussed frequently on Health Care Renewal, are suppression of clinical research, and manipulation of research design, implementation, and analysis and dissemination. In combination, they threaten the well-intentioned and idealistic goals of evidence-based medicine, to improve clinical care by basing decisions not only on knowledge of biology and the values of patients, but on critical review of the best available clinical evidence. But given that we have become increasingly skeptical, if not outright distrustful of the integrity of the evidence, the alternative ways of making clinical decisions, basing them on theoretical (but possibly incorrect) knowledge of biology, on authority, or on tradition to me are much worse. Doctors and patients should be vehement about the need for carefully performed clinical trials free of manipulation meant to benefit vested interests, reported honestly even if their results offend vested interests. It seems that news about concentration and abuse of power in health care, about ill-informed, ill-advised, conflicted, self-interested, even corrupt management of health care organizations, has almost been swamped by stories of even worse concentration and abuse of power elsewhere, from mysterious hedge funds, to US state government, to countries on multiple continents. And yet, health care and health care organizations seem to have been swept up into these larger fiascos. We commented briefly earlier on one health care connection to the allegations that the Governor of Illinois tried to auction off an appointment to a US Senate seat. Now it turns out that the spectacular collapse of a financial organization that really was a giant Ponzi scheme also has ensnared many health care organizations. Reporting on the collapse of Bernard L Madoff Investment Securities is everywhere. (See this initial story, for example, in the New York Times.) Here is a list of the health care organizations that are involved. The Carl and Ruth Shapiro family charity, formerly a major donor to Boston health care institutions such as the Beth Israel Deaconess Medical Center, Boston Medical Center, and the Dana/Farber Brigham and Womens' Cancer Center, lost about half its assets, which had been invested with Madoff (per the Boston Globe). The North Shore - Long Island Jewish Health System was "believed to have lost millions" (per AP). So besides being a stunning example of financial mismanagement and fraud, this case is a reminder of how prominent health care institutions got caught up in the contemporary business culture, which in turn was dominated by the self-proclaimed Masters of the Universe who lead the big financial institutions. But after the Madoff case, as one writer on TheStreet.com put it, "does anyone still doubt that the global banking and investing industry is full of greedy idiots?" ADDENDUM (16 December, 2008) - see multiple posts about the relationships among Yeshiva University and Madoff on the University Diaries blog.